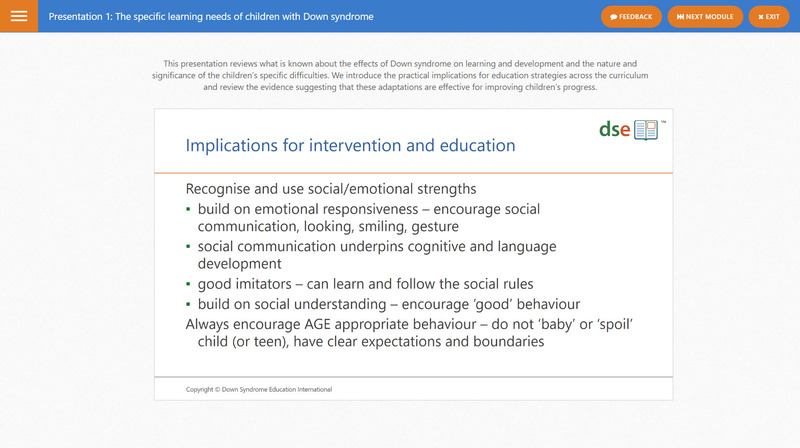 This online course offers convenient training and support for educators working with children with Down syndrome aged from 4 to 16 years, including teachers and assistants, speech and language therapists, advisory teachers, educational psychologists and outreach/advice staff and volunteers at organisations supporting young people with Down syndrome. 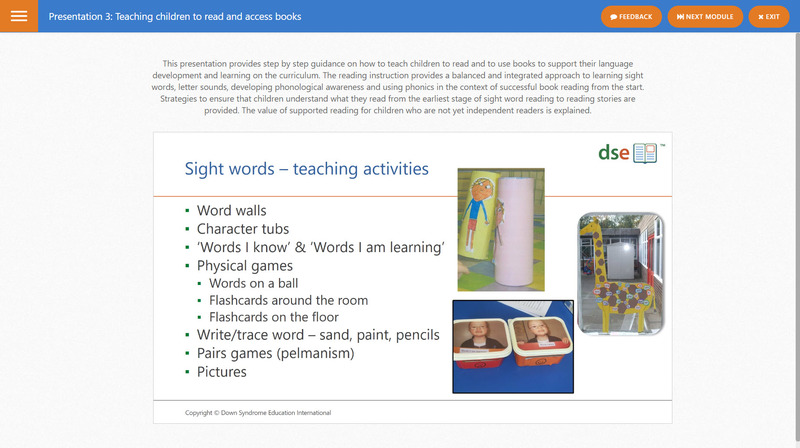 The course is also valuable for parents seeking guidance on how to support their child in school. 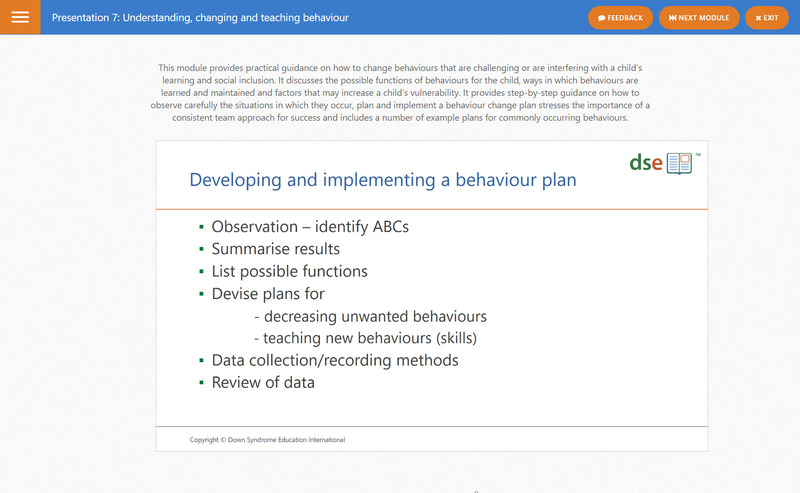 The course includes 10 modules, each of which includes a video presentation, handouts and an assessment. 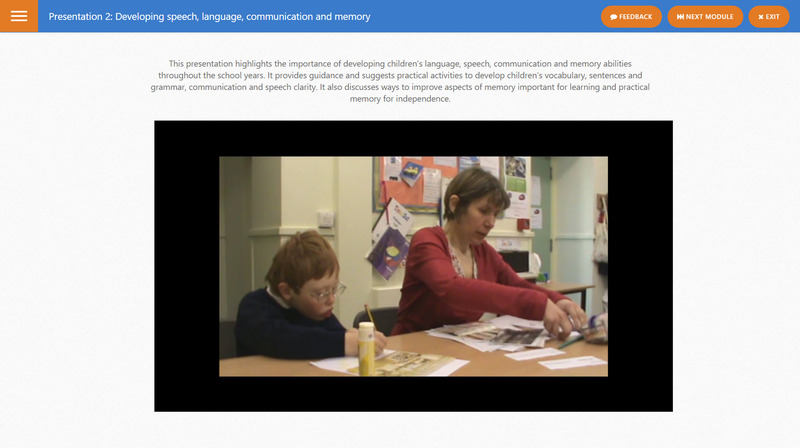 The video presentations can be viewed, handouts downloaded and assessments completed at any time. In addition, course participants are invited to join an online discussion forum with DSE tutors for the opportunity to ask questions and seek additional advice. Course participants should plan to spend a minimum of 20 hours studying to complete the course and assessments. We recommend setting aside around two hours per week for 10 weeks to study this course.